Our history has shaped our way of life. "Sweet" is the sugarcane plantations that they were sent for and "Sorrow" tells the story of their trials and tribulations. "Are you kidding ! The white men used to kick us and beat us with whips" "Get on with your work," they said. "This is your AGREEMENT"
By showing that girmit is a site of inspirational, not embarrassing, history. That history matters. That, as Francis Bacon said so long ago, 'the best prophet of the future is the past'. This video is the story of the Girmitiyas, the Coolies, the Indentured Labourers, who we descendant from, and who were lured by the British agents of a better future than in India, promised of wealth and freedom and to board those ships to a 3 month long journey to Fiji. A timeline of events from 1830 when Britain abolished slavery to 1920, when the Indenture System was cancelled. Users are able to Sort this list alphabetically by the Immigrants Name, Ship Name and Pass Number. Users are also able to search for names . 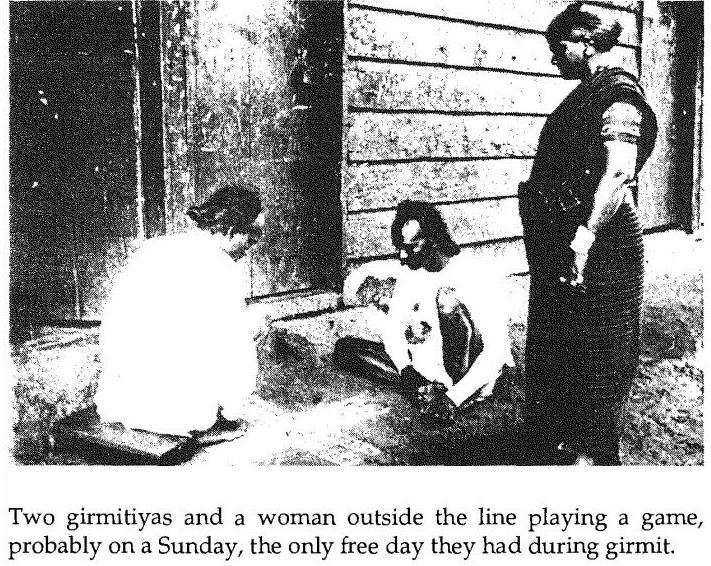 “Girmitiyas” or Indentured Labourers, is the name given the Indians who left Indian in the middle and late 19th Century to serve as labourers in the British colonies, where the majority eventually settled. GIRMIT is a corrupt form of the English word “Agreement”. A labour emigrating under the Agreement or Girmit was a “Girmitiya”. 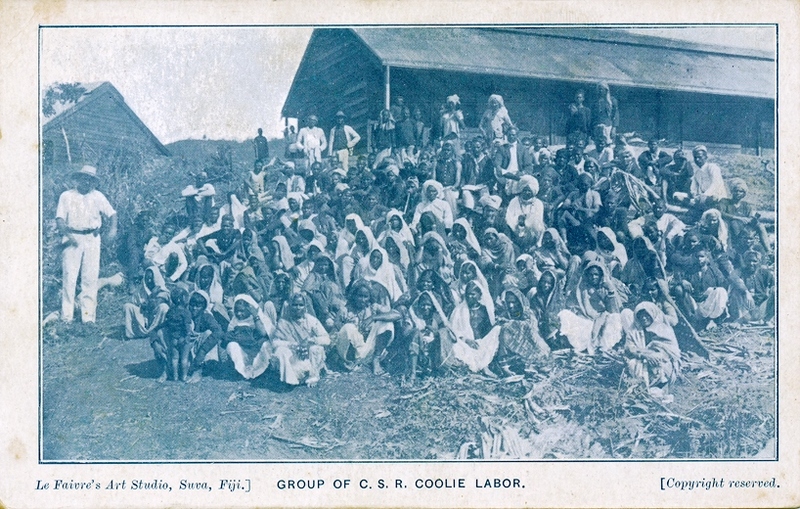 This website focuses on over 60,500 labourers who were transported to the Fiji Islands over a period of 37 years (1875 – 1916) to work on the plantations of Fiji. This site serves as a knowledge base, a research tool, and its available especially for the descendants of the original labourers (Girmitiyas) who are passionate to find out more about their history and wish to verify their heritage. 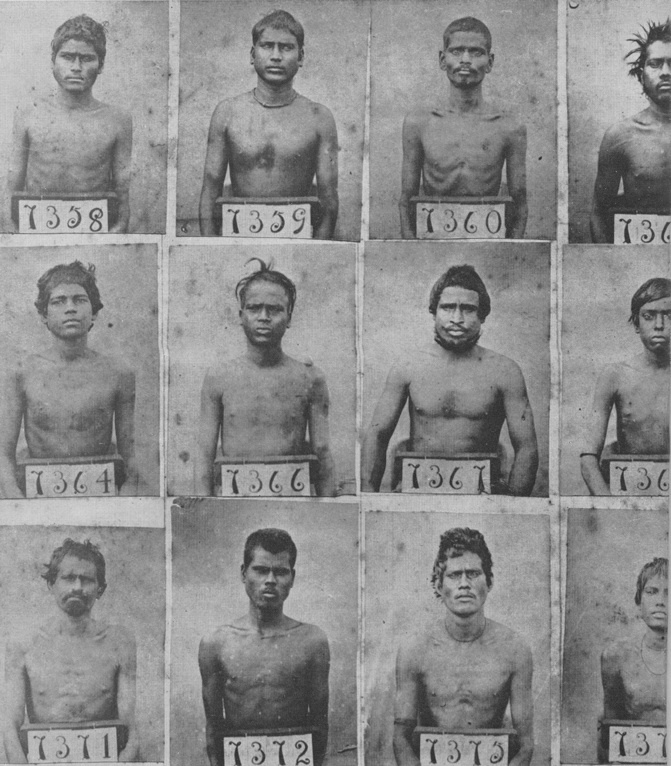 The British and other European colonial powers started the Indian indenture system in 1838, as a cheap source of labour to their colonies after African slavery was abolished in 1833. 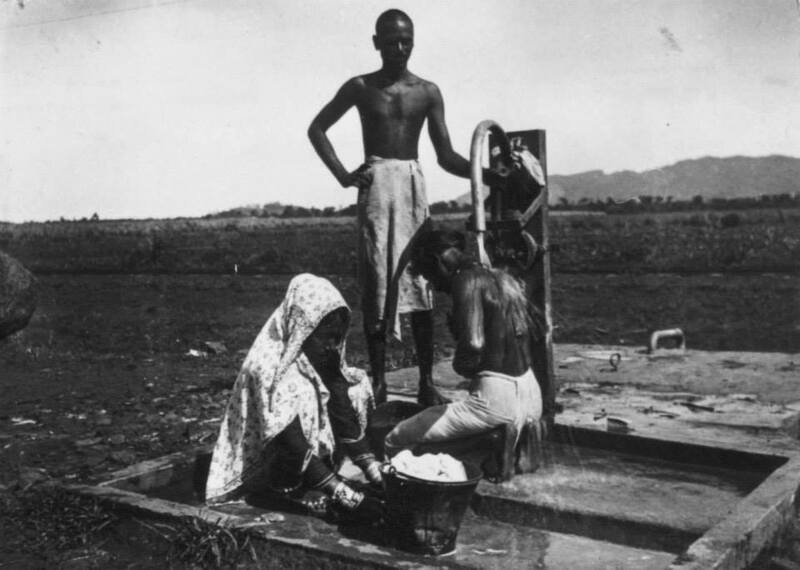 Under this system, some 1.2 million Indians were displaced from India to the colonies between 1838 and 1916. 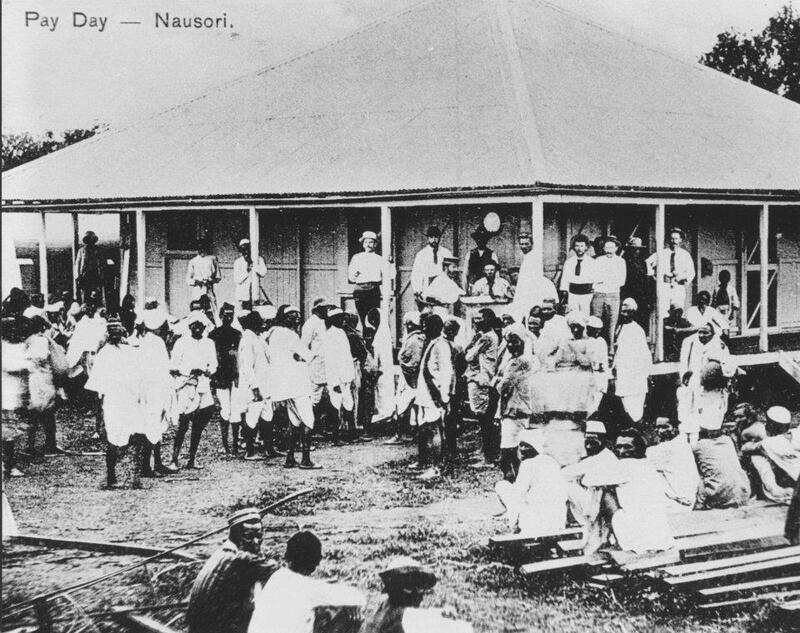 Indian indentured emigration to Fiji began in 1879. 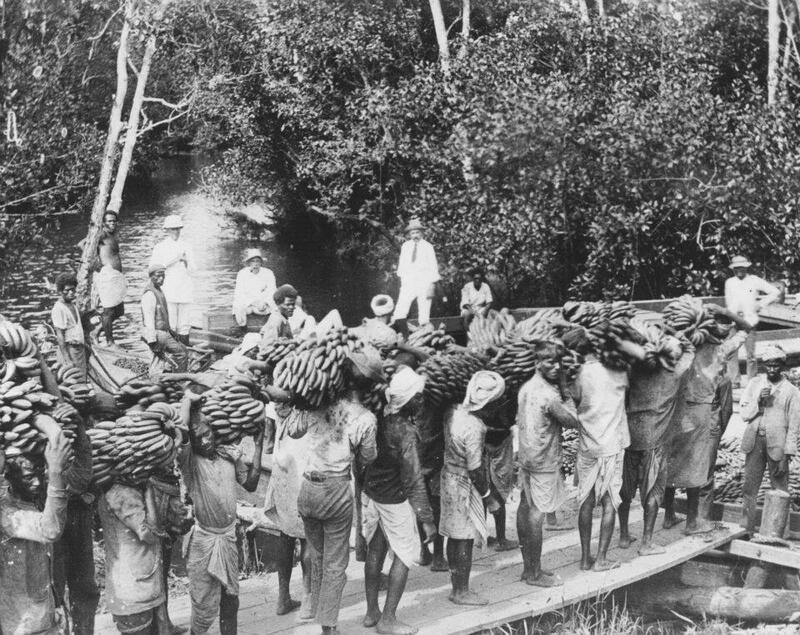 It was started by Sir Arthur Gordon, the first substantive governor of the colony (1875-80), to meet the shortage of labour caused by the prohibition of commercial employment of the Fijians and by the increasing uncertainty and cost of the Polynesian labour trade. 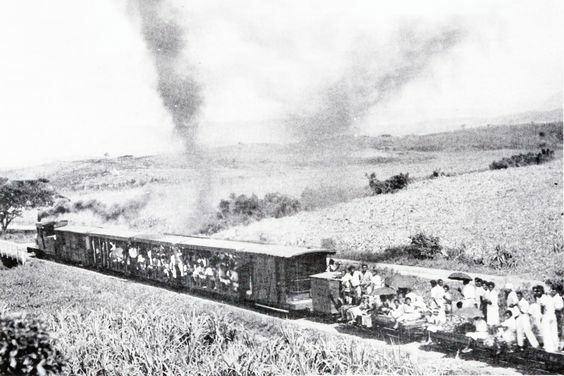 Some 60,500 Indians were transported to Fiji between 1879 and 1916 when the transportation of indentured Indian labourers was finally stopped. 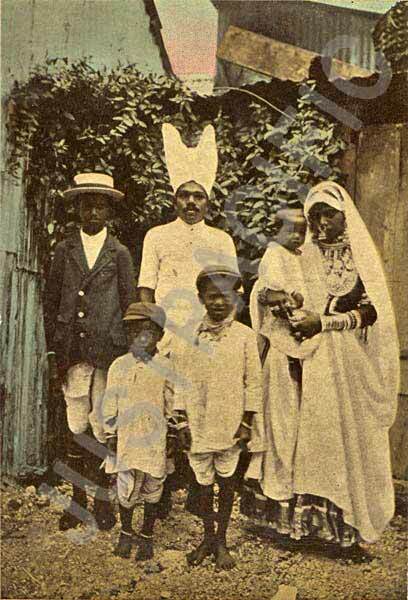 The indenture system itself was abolished in 1921. In North India, there was great popular resistance to emigration and it was difficult to obtain recruits, especially women. The emigration system was unsuited to Indian conditions, the regulation did not always work in the way intended, and abuses were widespread. Most of the emigrants were young and fit, and were recruited as individuals in the towns. They were a fair cross-section of village castes, had been driven by economic pressure or alienation from kin, and enlisted to secure high wages, with the intention of returning to India. The areas of recruitment were determined by economic, and, secondarily, by cultural factors. Most of the 60,965 emigrants came from the Gangetic plain, but 25% were recruited in Madras, where there was less resistance to emigration. On the plantations, impersonality and drudgery were the rules. Inspection safeguards were inadequate and immigrants found it difficult to secure redress in the courts. Assaults and excessive number of prosecutions were serious problems. The food and medical attention were inadequate over most of the period. Vice was rampant because of the disproportion of the sexes, unsatisfactory living conditions and the breakdown of social controls. Because of the nature of Indian society, the breakdown was much greater than most migrations. 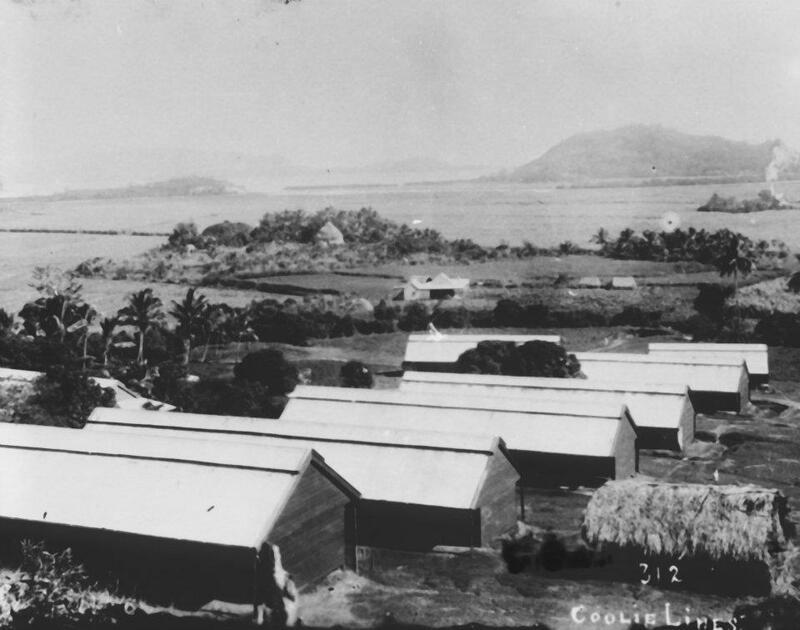 The contracts of the indentured labourers required them to work in Fiji for a certain period of time as specified in their agreements. After 5 years of Girmit, they were free to return to India at their own expense. The colonial government was compelled to provide free passage back to India to every Girmitiya and their children, after 10 years of Girmit. 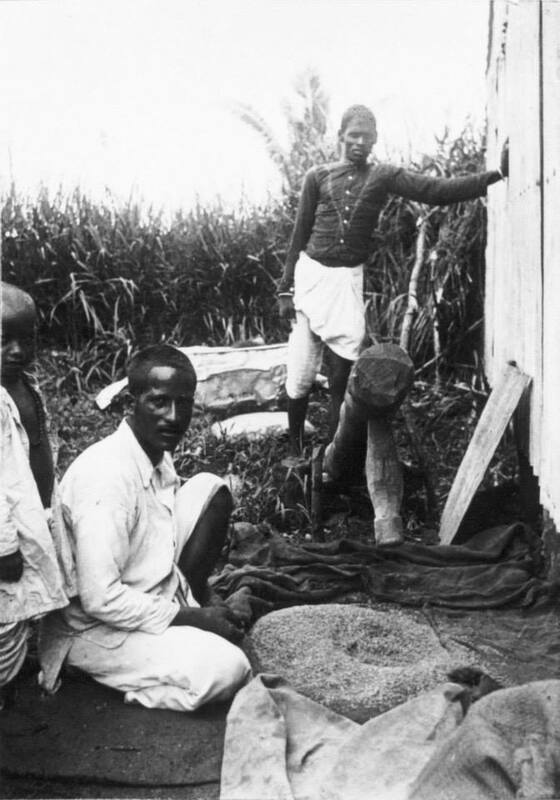 It is argued that they were prevented from returning to India by the colonial government of Fiji and the Colonial Sugar Refining Company (CSR) of Australia. 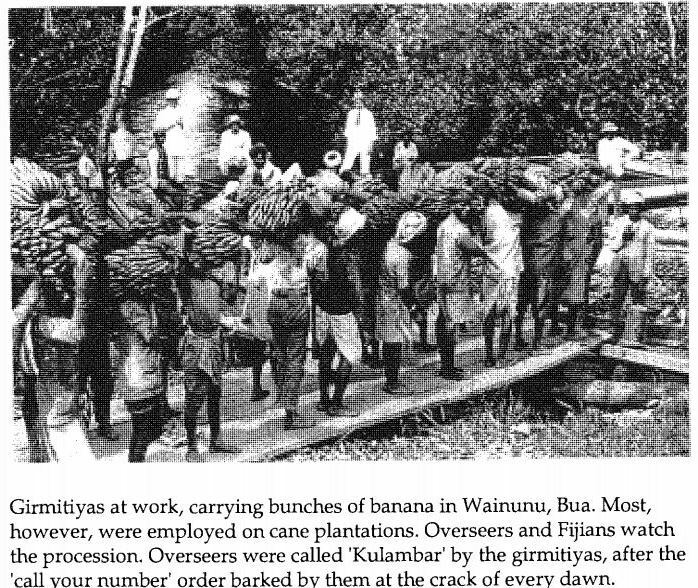 This was done to ensure continued supply of Indian labour to Fiji’s sugar industry, on which Fiji’s economy depended at that time. 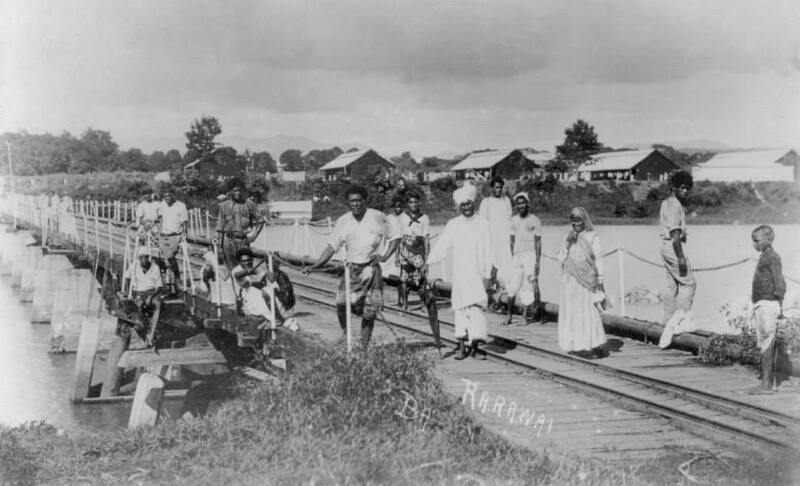 Few of the immigrants kept up ties with India, but about 40% returned – many of them suffered great hardship. Those who stayed did so because of new kinship ties or enhanced economic and social opportunity; the Government encouraged them to stay. Most of them settled on the lands as farmers, prospered and progressed. 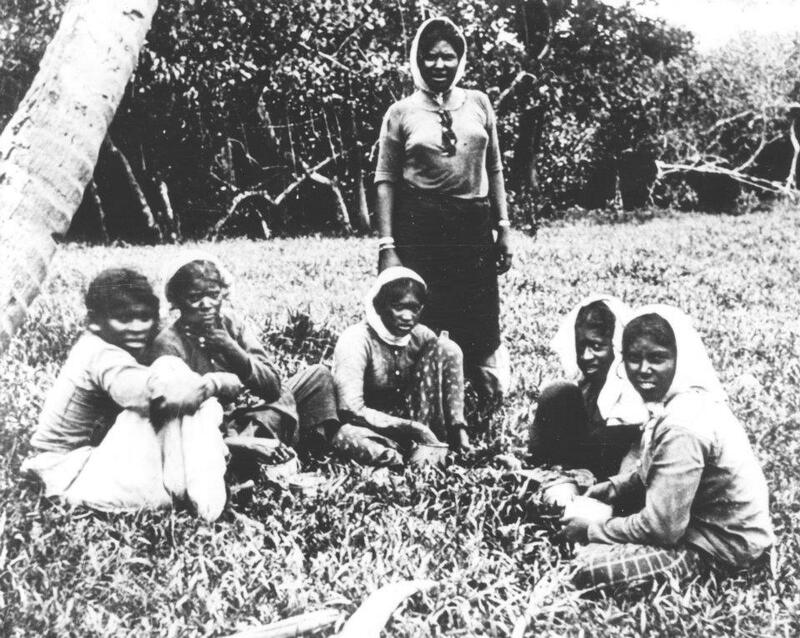 The majority of the Indo-Fijians are direct descendants of these exiled Girmitiyas of Fiji. This website is a homage to these Girmitiyas and their children. This website has been created to pay tribute to these Girmitiyas and to provide information to anyone who shares similar interests and sentiments towards this very sensitive and important part of our history. My sincere appreciation and thanks to the following people for their support, guidance and assistance. Their research is the foundation of this website. Lal, Brij V. Chalo Jahaji. Acton, A.C.T. : ANU E Press, 2012. Print. Search and Filter – Visitors are able to Search and Filter the list. Type the word that you wish to search in the “Search” Field. Only rows with the search word in them are displayed. Sort – Select the relevant Header and you can sort by Name/Fathers Name/Ship/Pass Number. and request them to send you the copy of the Emigration Pass. One you obtain the Emigration Pass number – you are able to match that number with the “Registered Number” Field in the following Table. Note that the Registered Number is in a range. So you have to select the Correct Range – which will tell you the date of the Arrival of the Ship. List of Ships in a Searchable/Sortable Format. Period of Service-Five Years from the Date of Arrival in the Colony. 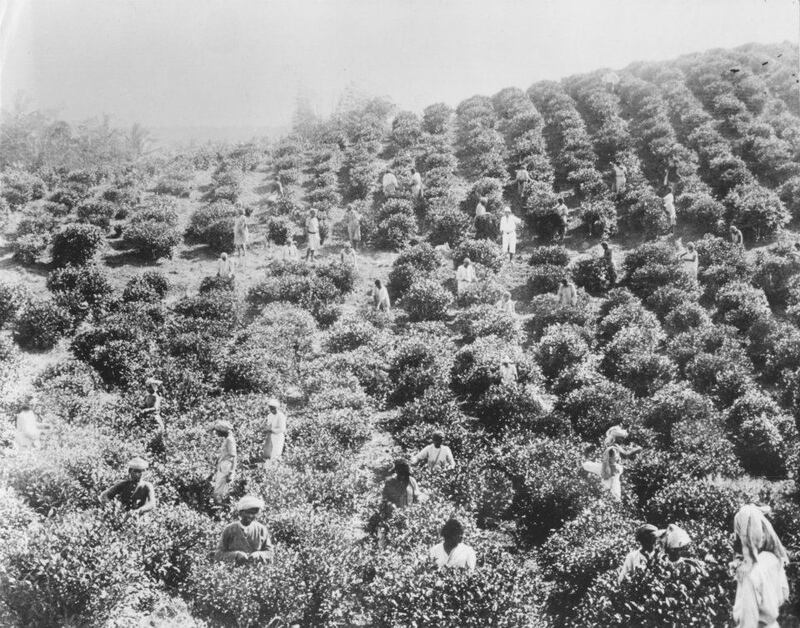 Nature of labour-Work in connection with the Cultivation of the soil or the manufacture of the produce on any plantation. Number of days on which the Emigrant is required to labour in each Week-Everyday, excepting Sundays and authorized holidays. Number of hours in every day during which he is required to labour without extra remuneration-Nine hours on each of ﬁve consecutive days in every week commencing with the Monday of each week, and ﬁve hours on the Saturday of each week. Monthly or Daily Wages and Task-Work Rates-When employed at time-work every adult male Emigrant above the age of ﬁfteen years will be paid not less than one shilling, which is at present equivalent to twelve annas and every adult female Emigrant above that age not less than nine pence, which is at present equivalent to nine annas, for every working day of nine hours; children below that age will receive wages proportionate to the amount of work done. When employed at task or ticca-work every adult male Emigrant above the age of ﬁfteen years will be paid not less than one shilling, and every adult female Emigrant above that age not less than nine pence for every task which shall be performed. The law is that a man’s task shall be as much as ordinary able-bodied adult male Emigrant can do in six hours’ steady work, and that a woman’s task shall be three-fourths of a man’s task. An employer is not bound to allot, nor is an Emigrant bound to perform more than one task in each day, but by mutual agreement such extra work may be allotted, performed and paid for. Wages are paid weekly on the Saturday of each week. Conditions as to return passage-Emigrants may return to India at their own expense after completing ﬁve years’ industrial residence in the Colony. After ten years’ continuous residence every Emigrant who was above the age of twelve on introduction to the Colony and who during that period has completed an industrial residence of ﬁve years, shall be entitled to a free-return passage if he claims it within two years after the completion of the ten years’ continuous residence. If the Emigrant was under twelve years of age when he was introduced into the colony, he will be entitled to a free return passage if he claims it before he reaches 24 years of age and fulﬁlls the other conditions as to residence. A child of an Emigrant born within the colony will be entitled to a free return passage until he reaches the age of twelve, and must be accompanied on the voyage by his parents or guardian. 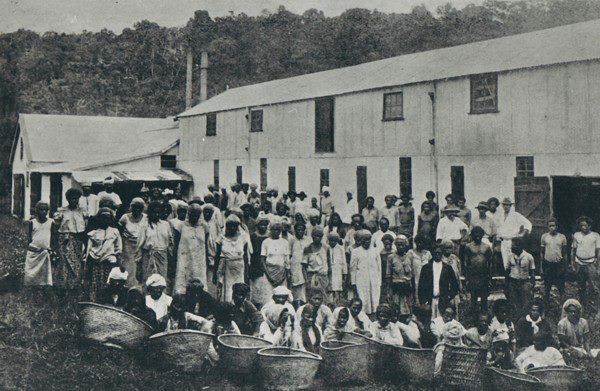 Other Conditions-Emigrants will receive rations from their employers during the ﬁrst six months after their arrival on the plantation according to the scale prescribed by the government of Fiji at a daily cost of four pence, which is at present equivalent to four annas, for each person of twelve years of age and upwards. Every child between ﬁve and twelve years of age will receive approximately half rations free of cost, and every child, ﬁve years of age and under, nine chattacks of milk daily free of cost, during the ﬁrst year after their arrival. Suitable dwelling will be assigned to Emigrants under indenture free of rent and will be kept in good repair by the employers. When Emigrants under indenture are ill they will be provided with Hospital accommodation, Medical attendance, Medicines, Medical comforts and Food free of charge. An Emigrant who has a wife still living is not allowed to marry another wife in the Colony unless his marriage with his ﬁrst wife shall have been legally dissolved; but if he is married to more than one wife in his country he can take them all with him to the Colony and they will then be legally registered and acknowledged as his wives. 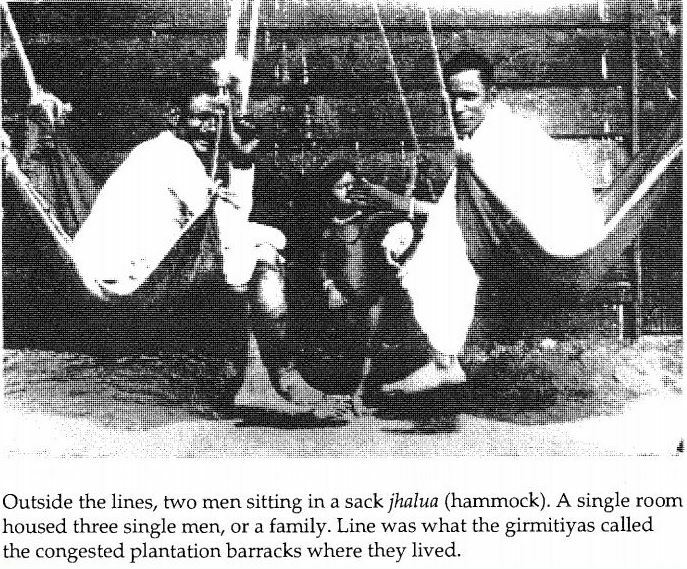 GIRMIT.org has been established to primarily focus on providing information for anyone who is interested in the history of the Indentured Labourers, the "Girmitiyas" who were transported to Fiji by the British under the System of Indenture or GIRMIT which was the term used by the Indian Indenture's for the word AGREEMENT.